Amy Winehouse’s family and friends paid their last respects to the troubled British soul singer at her funeral on Tuesday. Father Mitch Winehouse and his ex-wife Janis have said they were “devastated” by the death of their daughter, who was one of the finest British singers of her generation but had struggled with addictions to alcohol and drugs. 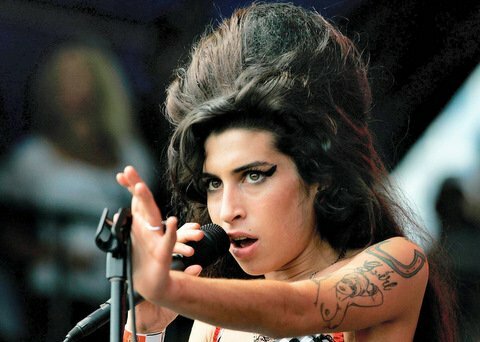 Winehouse was found dead on Saturday afternoon at her home in north London. A post-mortem examination on Monday failed to establish a formal cause of death, and police said the results of further toxicology tests could take between two and four weeks. However, her death is not being viewed as suspicious. During the eulogy, Mitch Winehouse said his daughter had been on the path to recovery at the time of her death. “Three years ago, Amy conquered her drug dependency,” he stressed. “She was trying hard to deal with her drinking and had just completed three weeks of abstinence. The Grammy-winner, who passed away at the age of 27, has joined a tragic group of famous rock stars who passed away at the same age – the notorious 27 Club. Rolling Stones founding member Brian Jones, guitarist Jimi Hendrix, singer Janis Joplin, The Doors front man Jim Morrison and Nirvana front man Kurt Cobain are the other major “members” of the ill-fated club.